Welcome. 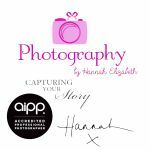 I’m Hannah Elizabeth - the inspired Photographer I Designer I Artist I Creator. I capture memories of your Newborn, Family.